Large Enough to Serve You"
Beckman Motors has been in business since 1983. At that time, the dealership was owned by Joe Pointer and known as “Pointer Motors” before Merle Beckman later bought it from him and renamed it “Beckman Motors”. Merle Beckman was a salesman at the time, along with his son, Raymond. Raymond had been partial owner of the dealership for several years but has been the sole owner now for the last couple of years. The Ford Dealership (Beckman Ford) was also purchased by Merle in 1989 and sold to Raymond in 2016. Between the two dealerships they sell new Chevrolet, Buick, and Ford vehicles. They also sell all makes and models of used vehicles. Their service department has certified General Motors and Ford technicians and their parts department offers GM and Ford parts and accessories. Their finance department also has several lenders available to help buyers with many different credit situations to purchase their vehicles. They offer several service contracts and extended warranty options for new and used vehicles. They currently have around 25 employees at the dealership, including sales staff, parts and service staff, and back office staff. Several of their employees do not actually live in Garnett (located in Anderson County) but rather from the surrounding counties, including Miami, Franklin, Coffey, Linn, Douglas, and Johnson County. Did you know that approximately 75% of their customers/sales are from outside of Anderson County? This includes a significant portion from Osawatomie and Miami County. They also have several loyal customers from hundreds of miles away, including customers in Iowa, Colorado, Oklahoma, and Texas. They are able to keep this customer base because their sales staff doesn't use high pressure tactics or try to get their customers to purchase something that doesn't fit their needs or budget. Beckman Motors relies namely on word of mouth, referrals, and repeat customers. Their tagline is "Small Enough to Know You, Large Enough to Serve You." It suits their business quite well because if they don't have the specific vehicle you're looking for, they will do their best to find that vehicle for you. They want you happy with your experience and would like nothing more than for you to tell your friends and family about their business and to come on in (or back) for your next vehicle! 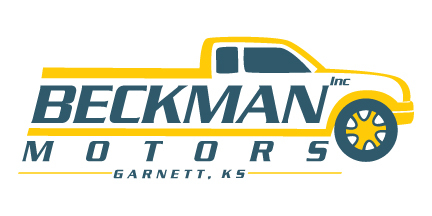 We are happy to have Beckman Motors belong to our Business Community! And next time you are in Garnett, feel free to stop by and say hello!